Oh, New Orleans. You stole my heart. I don't know if it was your beautiful architecture, or the kindness of the locals, or the amazing food, but wow. Thanks for having me! Not too many photos though, believe it or not. Mostly because we spent a lot of time walking around streets and taking photos of houses, and I didn't want to give you a post just full of photos of houses, although...they were incredible. 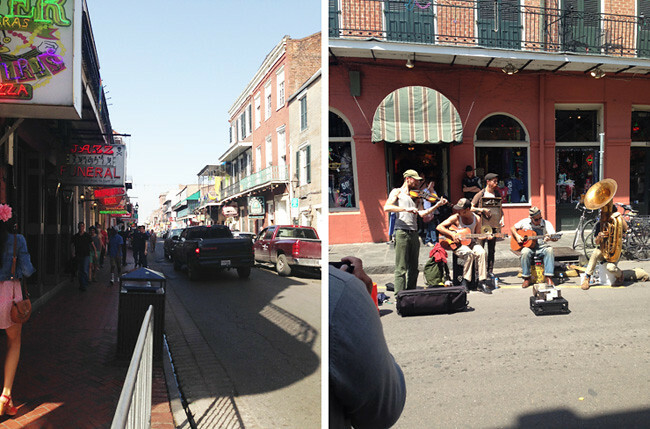 We actually went to New Orleans to attend a wedding of a friend of Ruth's (my friend who I was travelling with), so we did spend one of five days doing that (a traditional, Southern wedding - to DIE for) but we also managed to get in quite a lot of sight seeing and eating. I didn't start the trip off very well though. Like, at all. We spent our first day wondering around and eating and that was fine, and by late afternoon I decided I needed a coffee, and we just happened to be heading in the direction of the infamous Bourban St, and I stupidly thought I'd be able to find coffee there (lol). Needless to say, we didn't. The first photo above is a small snapshot of Bourban St, which is probably around a mile long and LINED with bars all offering you amazing deals on Daiquiris and Hurricanes, which seem to be the two most prominent drinks of New Orleans. We ended up stumbling across a karaoke bar called The Cats Meow which we'd been recommended so we thought we may as well stop and have a sit down and a drink. So, we ordered a Hurricane each, not expecting to be given it in an ENORMOUS soda cup. At $8 each. I didn't expect it to be very strong, and I was so, so wrong. Australian drinks are SO weak compared to the drink standards in the US, wow. We sat and drank our enormous soda cups for an hour, and I stupidly decided to get just one more, because I was pretty drunk at this stage and thought that was a clever idea. At around six, we were supposed to leave and get ready to go and out bowling with Ruth's friends, but that never happened for me. I actually do not remember getting back to the hotel, I don't remember a taxi, I don't remember having beads thrown at me from a balcony on Bourban St. I do remember being sick until four in the morning, and pretty much hating life though. So that was my Bourban St experience, moving on. 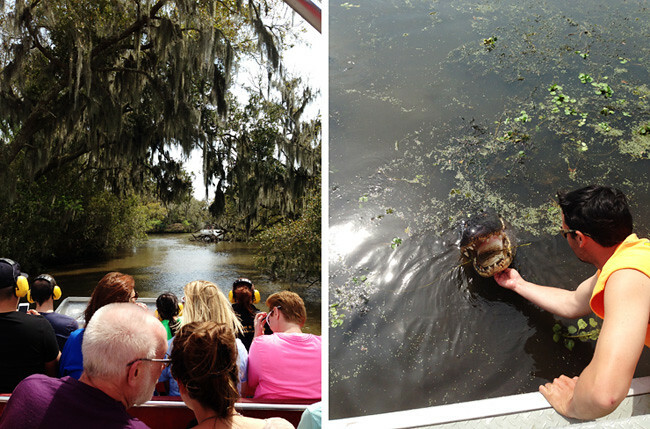 We also did a swamp tour which was awesome. We went out on a boat and spotted alligators with a tour guide whose family had owned the swamp for many generations, and he knew all the secret spots. We found a biggun', and fed him some marshmellows (go figure) and chicken wings for a while, all the while watching in horror as our tour guide tickled it's chin and basically patted it like a dog (oh, and another tour guide nearby JUMPED IN AND SWAM WITH ONE). Let me tell you, this would not be happening in Australia with crocodiles folks. Nooo way. 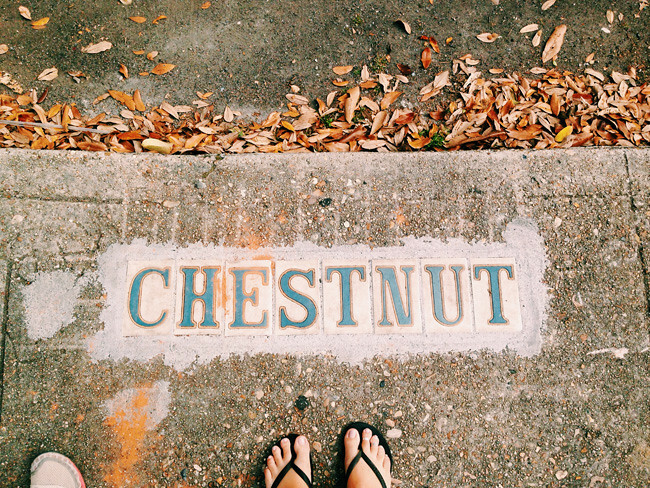 So besides the French Quarter, the other stunning part of New Orleans is the Garden District. This blew me away. 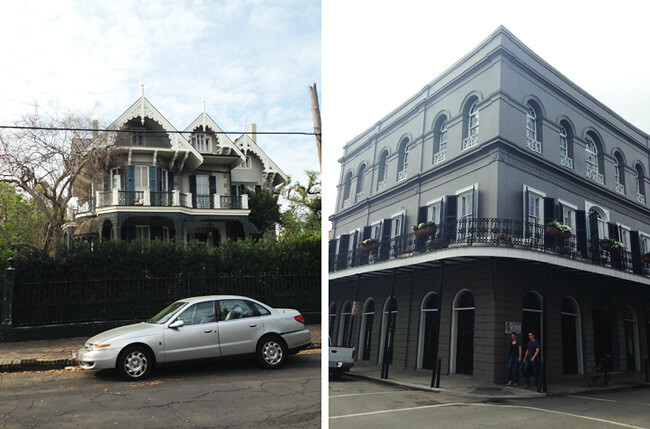 You would drive down St Charles for miles and it would be LINED with absolutely gorgeous mansions, one after the other. We drove down a couple of side streets and with some of Ruth's lovely friends who had Google mapped a few places in particular to check out, and we walked around and spotted a few celebrity homes, all of which were gorgeous. 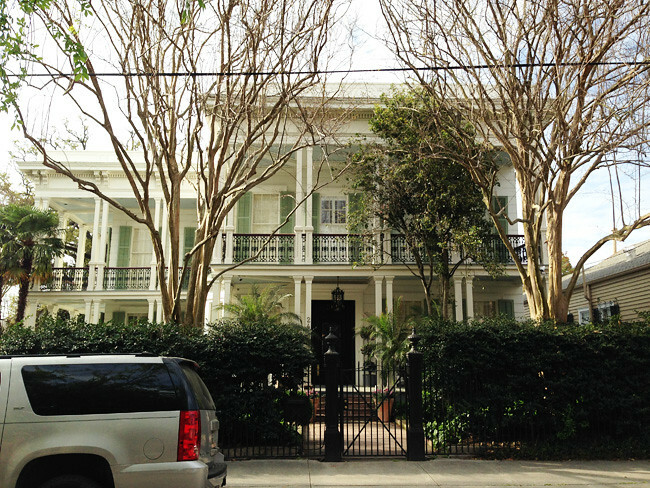 The very first photo is actually Sandra Bullock's home, magnificent no? The last photo is Trent Reznor's (of NIN) old home, which is now owned by John Goodman. And for any fans of American Horror Story (Coven in particular), I just HAD to seek out Madame LaLaurie's mansion, which was actually located in the French Quarter. The story of Madame LaLaurie is 100% true and I had to see the house for myself, which is apparently haunted. It's the big corner house in the top right photo. Unfortunately, you cannot go in as it's privately owned by someone, who also has renovated it to it's current beauty today. How you can live in that house though, the idea freaks me out! 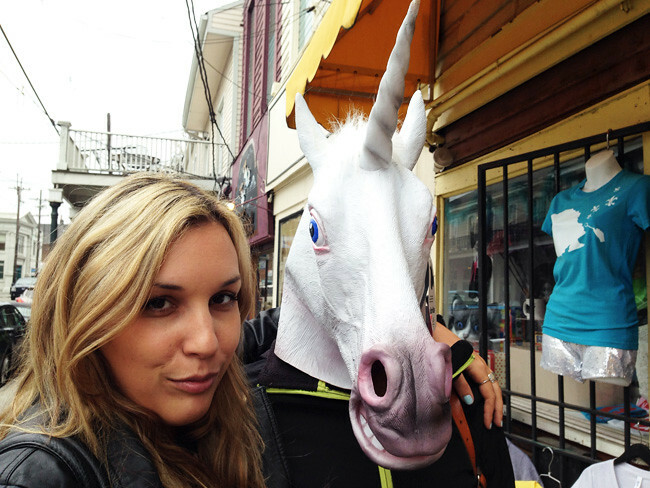 I really, really loved New Orleans. What an amazing place. I can only describe it as vibrant, and colourful and full of personality. I could have spent another five days there easily! If only to eat more of the delicious food...Creole anything, I am SOLD. i REALLY want to go to new orleans one day. the idea of eating all that good food and listening to blues and jazz is extremely appealling.